All current student at POSTECH can reside in dormitories as long as there are no grounds for disqualification. First and second year undergraduates must reside in the RC (Residential College) dormitory. Third and fourth year undergraduates and graduate students can reside in regular dormitories. Married graduate students can either reside in graduate student apartments or off-campus housing if desired. POSTECH operates a total of 24 dormitories: 20 for male students, 3 for female students, and 1 RC dormitory. Each dormitory room accommodates 2 people. Regular dormitory: 3-5 story buildings, and each dormitory has a lounge, a laundry room, and a shower room. RC dormitory: A snack room is located on each floor and each room has a bathroom with shower. Wired and wireless internet access is available in all dormitories. The RC dormitory is where students can receive a customized education for their talent and reside with their academic advisors. Students in RC can participate in the ‘RC COLLOQUIA’ program which includes team projects, physical activities, voluntary services, field trips, and cultural performances. In addition, the RC dormitory provides students with leadership development programs. Dormitory Bldg #16 is called DICE (Dormitory for International Cultural Exchange), an English-speaking building, and students can reside here via an interview with the professor in charge. Enrolled students for the current semester can reside in dormitories. Students on exceptional military duty (Professional Researchers) are considered as POSTECH students until receiving their degrees. Part-time students can move into dormitories with approval from the Dean of Graduate School while in school. However, any of the following students may be ineligible: a student under disciplinary action such as a suspension or more serious punishment in accordance with POSTECH regulations; a student who has stayed beyond the extra tenancy period; a student with an infectious disease; and a student whom the Dormitory Director considers unfit for communal living. 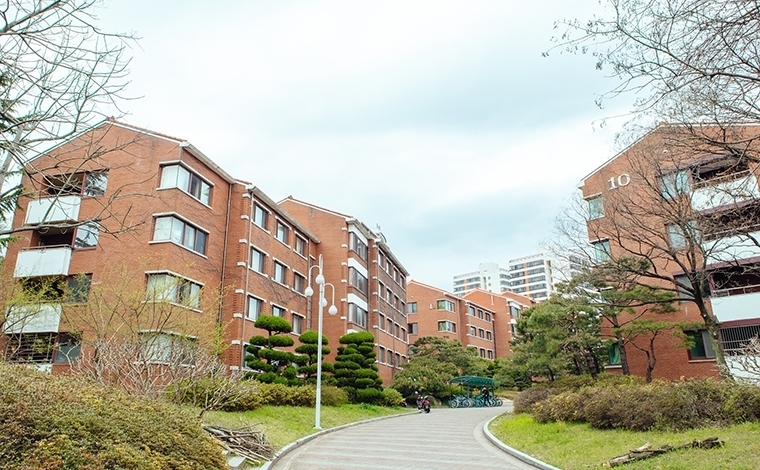 Freshmen are required to submit “a housing application” and “a health examination for tuberculosis” through the website (h-sm.postech.ac.kr) or their mobile (h-sm.postech.ac.kr/m1), before moving in. Both current and returned students can apply for housing online via POVIS/Work Area. Undergraduate students can stay in dormitories during the summer and the winter break for summer/winter sessions or research programs, but different procedures may be required; the procedure is announced on the POVIS Notice bulletin board before the start of every school break. ※ Submission of application indicates that every applicant will comply with university regulations, and the application could be denied if students fail to uphold the aforementioned policies. Rooms will be assigned separately based on the applicant’s gender and degree program. Rooms could be reassigned in the case of additions or renovations to the buildings, changes in accommodation capacity, or changes in the university management policies. Undergraduate students are not allowed to change their units during the first semester, in accordance with RC dormitory regulations. 사용료에 관련된 구분, 일반생활관, 20동, 21동, 19동, 사용기관에 대해 설명한 테이블입니다. Undergraduate students are allowed to stay until their 11th semester if they have registered for a double major. However, they must pay double the fee starting from their 9th semester. – General dormitory and graduate apartment (unmarried): Pay double the rent amount of the regular tenancy period. – Graduate apartment (married): Pay 1.5 times the rent amount of a regular tenancy period. Students who move out of the residence hall during the semester will receive a refund for the remaining months. However, the rent for the month in which the students terminate the residency will not be refunded. – If students have a graduation ceremony on their move-out month, the move-out day will be set as the graduation day. Residents whose enrollment status has changed or want to move out for personal reasons must visit the Housing Services office and follow the move-out procedures. At the end of every semester, undergraduate students must follow the move-out procedures in accordance with Housing Services, clean their rooms, and place all furniture in the original position when moving out. ※ The original position indicates that the bed is placed under the clothes dryer attached to the wall. Housing Services will conduct room inspections to identify furniture and utility maintenance. If damages are found on facilities or furniture, the residents will be asked to pay for the damage. If residents’ personal belongings are left in the room, Housing Services may discard them. If a resident observes something that appears suspicious or unsafe, he/she must immediately report it to the Housing Services office. All residents must comply with the dormitory regulations, keep the atmosphere conducive to academic pursuit, and manage dormitory facilities and equipment. Penalty points may be imposed for violation of any of the regulations by the Dormitory Director, staff members of Housing Services, the chairman of the Dormitory Council, the representative of each dormitory building, or RAs of RC dormitory. A student’s penalty points will be accumulated for a year, and the student will be under disciplinary action. Students whose cumulative penalty points are 10 or more will be disciplined by the Dormitory Director, 20 or more will be reported to the student’s advisor and parents, 30 or more will be barred from residing in the dormitory for the following regular semester, 50 or more will be barred from residing in the dormitory for the following two regular semesters, 70 or more will be permanently barred from residing in the dormitory and the case will be turned over to the Student Disciplinary Committee. In addition, volunteer activities will be assigned. 10 or more Two hours of on-campus volunteer work disciplined by the Dormitory Director for every five points. 20 or more A notification to the student’s advisor and parents. 30 or more Be barred from residing in the dormitory for the following regular semester. 50 or more Be barred from residing in the dormitory for the following two regular semesters. 70 or more Be immediately and permanently barred from residing in the dormitory and the case will be turned over to the Student Disciplinary Committee. ※ Imposition of penalty points and accompanying execution are done by dormitory director. Students imposed points over 30 can ask dormitory committee for reexamination of imposition or execution within 1 week only if objections they make are appropriate. Committee for reexamination should be convened within a month, and if not, the penalty points cannot be imposed. Students asking for reexamination are required to attend the meeting of Committee, and if not, the penalty points are confirmed. • 1st default: The students will be warned and notified of the consequences of two consecutive late payments. ※ Students who opt for the installment payment plan must pay the remaining balance in a lump sum, and will not be eligible for the installment plan until their graduation. 1.Penalty points may be avoided with the Dormitory Director’s review and approval on a prior request by an individual or a group. 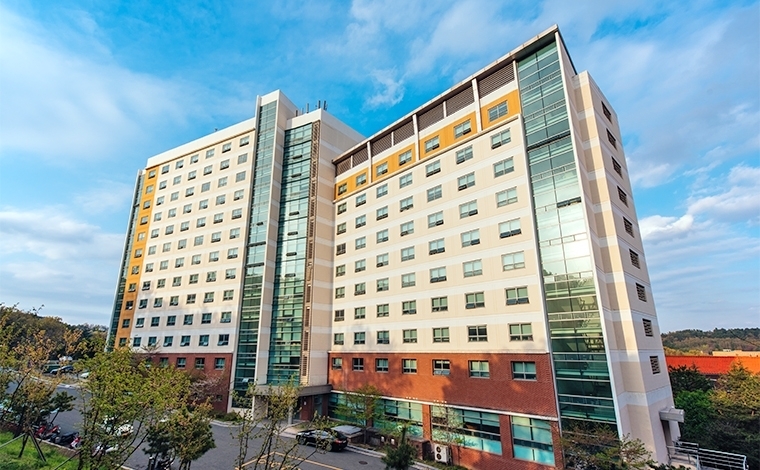 2.POSTECH students who have moved out of the dormitories or who are on a leave of absence may be allowed to stay over for one night with permission from the Housing Services. 3.A resolution on the details shall be passed with a two-third vote of the residents of each building; if the resolution is passed, this item may be excluded from penalty points or managed autonomously by each dormitory building’s residents’ association for one semester with the Dormitory Director’s review and approval. 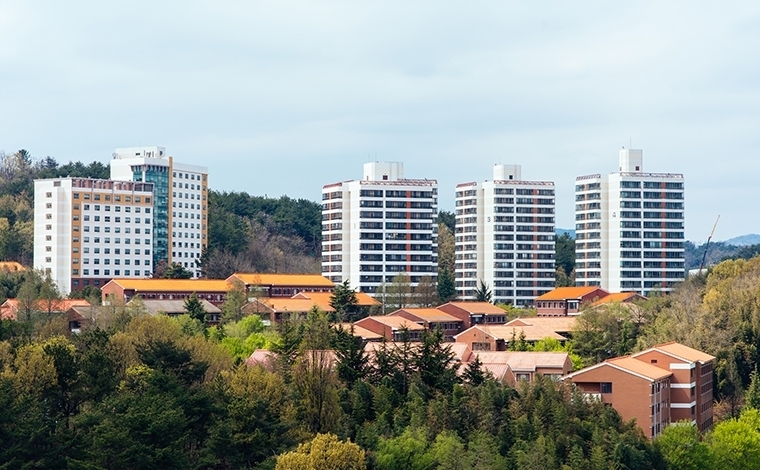 4.POSTECH members who park their car within the dormitory areas must submit an application for parking registration and a copy of vehicle registration to the Housing Services office (For new vehicles, the vehicle permit registration must be submitted within 10 days from the vehicle purchase). – The on-campus vehicle permit must be placed on the lower driver’s side of the front windshield. – Any vehicle violating the parking rules may be towed away and the violator is responsible for the towing fee (an additional 50 penalty points will be imposed if the towing fee is not paid by a specified date). – POSTECH is not responsible for any damage occurred during the towing process. 5.To propagate religion to two or more persons within the dormitory areas, a resident may submit a request for approval to the Housing Services office with a detailed description of the activities such as the detailed schedule, number of participants, and the manner in which the religion is to be propagated. In particular, propagating religion inside the dormitory buildings shall be allowed only when the person attaches an activity plan written on A3-sized or larger paper in front of the applicant’s room and at the entrance of the dormitory building four days prior to the visit for such activity. 6.Additional dormitory regulations stipulated by the RC Steering Committee shall have the same effect as the general dormitory regulations after the Dormitory Director’s review. The Director of Housing Services may conduct a dormitory inspection at any given time, including during the regular semester and summer and winter semesters. The Dormitory Council may conduct inspections on both a regular and end-of-semester basis. All electrical appliances must be turned off after use. Residents are allowed to use electrical appliances only approved by the university as shown below. Disapproved appliances that are needed for a health condition may be used upon the pre-approval of dormitory professors. Each dorm room is furnished with beds, mattresses, closets, desks, bookshelves, chairs, and folding clothes dryers attached to the wall. Students are not allowed to move or dispose of any piece of furniture. Students need to bring their own desk lamp, bedding sets, towels, and soap. Female students are required to bring a private mattress pad as well. Storage lockers in the basement of each dormitory building are available during the summer/winter break only, and should be cleared during regular academic sessions. Only general items are allowed to be stored instead of valuables, and any unclaimed items after the 10th day of classes of each semester will be discarded by Housing Services. Mail and packages (first-class mail, priority mail, and first-class package) are delivered to the mailbox of each dormitory building. Therefore, residents may use the dormitory address for their mail and packages. Mail for special handling (registered mail, registered packages, and express mail) should be delivered door-to-door to the recipient through either the POSTECH Mailroom or the recipient’s department, since it requires the recipient’s signature. The Housing Services office does not receive any packages on behalf of residents. It is recommended that residents use the Smart Locker System which is located in the Jigok Community Center, Student Union Building, Laboratories Building, and RC dormitory or to receive parcels in person. Each floor of all dormitory buildings has a washer and dryer shared by all residents of the floor. Residents are expected to keep the washers and dryers clean for other users. Placing a private dryer for an individual is not allowed; residents may use a clothes dryers attached to the wall in a room. Rental washers and dryers are chargeable service and they are managed and maintained by a rental contractor. A cleaner shop is located in the Dormitory Bldg #14. Rental washers and dryers: direct report to the rental contracter through the contact information attached to the machines. Residents are required to individually purchase a telephone. Once installed, making an on-campus call is possible but an off-campus call may be restricted (inside Pohang city, outside Pohang city, and international calls). Car parking within the dormitory area is prohibited. Drivers may use designated parking lots including those of Graduate Student Apartment, Jigok Community Center, and the Gymnasium. Bicycles or motorcycles must be parked only in the designated place in front of each dormitory building but not in the entrance of buildings. If the resident has a broken or unused bicycle or motorcycle, he or she should dispose of it as soon as possible. The door should be opened to 90 degrees or more. For a hinged window, the hinged part should be seen from the door. Electric heating and cooling appliances should be installed in a way to enable cleaning. When moving out, all the furniture should be placed in the original position. If the above conditions are not completed, then additional 10 penalty points will be imposed. New students can request to the current resident to replace all the furniture in the original position. For disposing residential waste, use the waste bin installed on each floor. For disposing larger waste such as a refrigerator, a fan, a desktop and a printer, the resident may buy an appropriate waste disposal sticker which can be purchased at R-market in Hyoja. Attach the sticker to the waste and dispose of it at the back of Bldg #18.